FPL FiberNet’s corporate offices are located at the Flagler Corporate Center on West Flagler St., Miami, Fla. The building used to be the headquarters for Florida Power and Light. 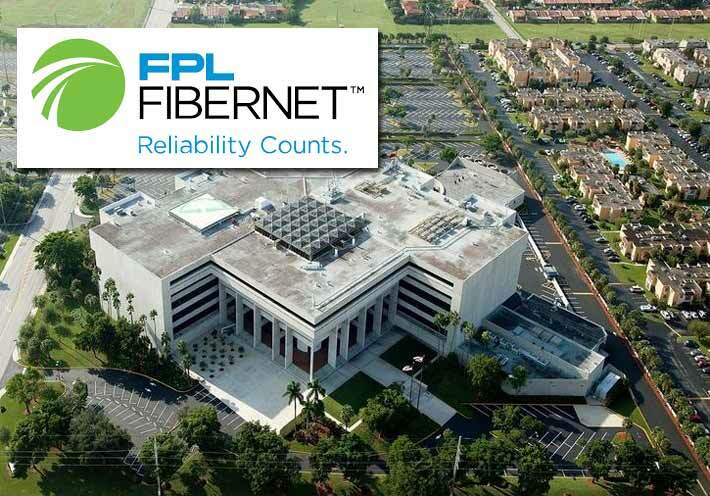 FPL FiberNet was previously a telecommunications subsidiary of FPL Group, Inc., one of the nation’s largest providers of electricity-related services. Florida Power & Light Company, with numerous communications towers, is now a subsidiary of NextEra Energy, Inc.
Crown Castle International Corp. announced this morning that it has entered into an agreement to acquire FPL FiberNet Holdings, LLC and certain other subsidiaries of NextEra Energy, Inc for approximately $1.5 billion in cash. FiberNet is a fiber services provider that owns or has rights to approximately 11,500 route miles of fiber installed and under construction in Florida and Texas, inclusive of approximately 6,000 route miles of fiber in top metro markets. Pro forma for the proposed acquisition, Crown Castle will own or have rights to approximately 28,500 route miles of fiber. “The addition of FiberNet’s complementary footprint in top metro markets in South Florida and Texas bolsters our fiber available for small cells in markets where we see significant demand from our wireless carrier customers,” said Jay Brown, Crown Castle’s Chief Executive Officer. 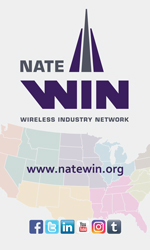 “As demand for wireless connectivity continues to grow, small cells are playing an increasingly important role in adding the network capacity and density needed to provide ubiquitous high-speed, high-capacity wireless services. With a long runway of expected growth ahead for small cells, we believe our investment in FiberNet further strengthens our leading position in small cells and will enhance our long-term dividend growth,” Brown said. Crown Castle expects the acquisition to close in the first half of 2017 and to be immediately accretive to Adjusted Funds from Operations (“AFFO”) per share upon closing. In the first year of Crown Castle’s ownership, the transaction is expected to contribute approximately $105 to $110 million to gross margin and approximately $15 to $20 million of general and administrative expenses. Additionally, the transaction includes approximately $5 million in annual cash flows associated with a customer lease that will be accounted for as a financing lease and therefore not contribute to the expected gross margin.